Eoghan is a partner specialising in corporate, commercial and technology matters. Eoghan’s key practice areas include corporate transactions, corporate advisory, commercial contracts and data protection. 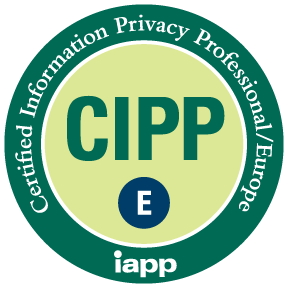 Eoghan advises Irish and international clients on General Data Protection Regulation (GDPR) compliance matters and is CIPP/E certified (Certified Information Privacy Professional) (GDPR included). Eoghan has extensive experience advising on a range of corporate transactions, including mergers and acquisitions, project finance, private equity and venture capital transactions, corporate re-organisations and management buy-outs. He also works with companies setting up in Ireland as part of our foreign direct investment offering. Eoghan regularly advises clients on corporate governance and compliance matters. “I was really pleased with the advice I received from Eoghan Doyle on this matter, both in terms of quality and speed. I would definitely use the firm again and would happily recommend them to others”. Andrew Watkins, General Counsel, Ebiquity plc, London. He advises clients across a range of markets including technology, venture capital, renewable energy, finance, healthcare, medical devices and life sciences. Eoghan was recommended for his work in commercial, corporate and M&A in the 2019 edition of Legal 500. “In securing venture capital funding from top investors both domestic and US, Eoghan and his team’s knowledge of the Technology sector, their professionalism and patience in supporting us and dealing with multiple investors was impressive”. Patrick Leddy, CEO, Pulsate Mobile Ltd.